CRA | California Redwood Association » Why Redwood? Why Not Redwood? Why Redwood? Why Not Redwood? The plans are finalized for your dream deck – every feature you wanted is there, and visions of lazy afternoons and starlit nights spent enjoying your new outdoor living room are dancing through your head. There’s just one critical decision to make: what will you build this deck out of? An embarrassingly vast array of choices are out there, and after careful consideration a handful of the options would be right for your project. Which one is most right? For many, the biggest consideration is that this investment has to look great, not just now, but for years to come. That criterion dramatically narrows the field down to one: redwood. Redwood’s natural durability holds up to the elements year over year. Its tannin-rich properties also make redwood naturally resistant to insects and decay. In addition to resisting pests, redwood also has a natural resistance to fire – no chemical treatments required. In fact, redwood is listed in the California Fire Marshall’s guide of approved building materials. Maintaining the natural beauty of redwood is also easy, with simple cleaning. If a finish is applied, refreshing that is accomplished every few years in just a couple of steps. Any stains are easy to clean with simple household cleaners – and any serious damage can be quickly replaced with a new board. Another benefit of redwood: it never changes formulas. Colors and surfaces are never discontinued. Not only is redwood naturally ideal for any deck, it’s also the most environmentally friendly material you could use. Redwood is a renewable resource grown and harvested in accordance with some of the highest environmental standards in the world. Each redwood tree takes carbon out of the air and stores it in wood fiber, which helps reduce emissions. That carbon remains locked in the wood even after it’s been harvested and milled – the average redwood deck can store more than a half-ton of carbon. Redwood provides years of performance, long-lasting beauty and affordable luxury. 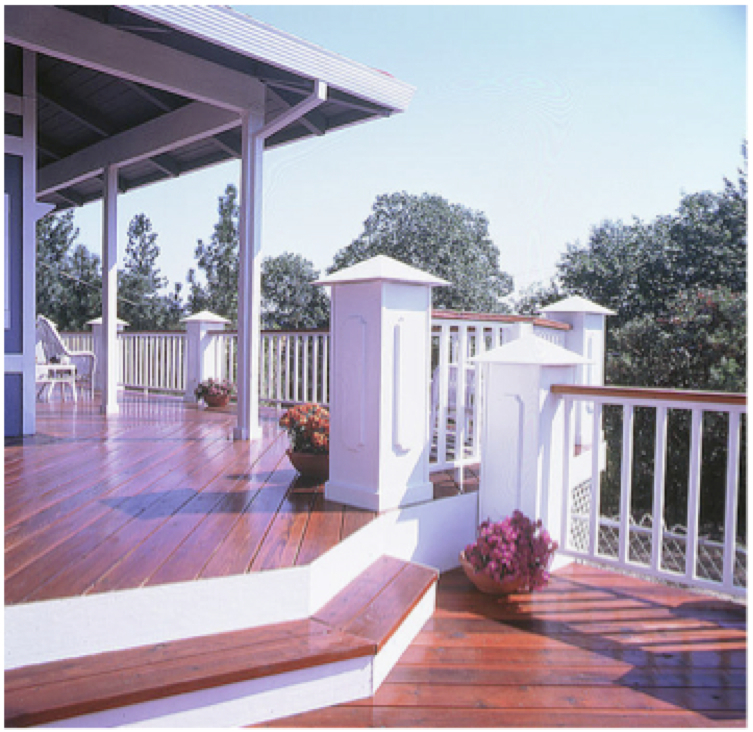 For natural warmth and durability, no other decking material can top redwood. Want to know more about redwood? Check out this video. Then find a redwood resource near you.